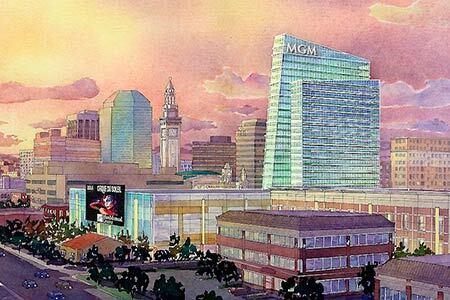 At the beginning of this week MGM Resorts International became the first company in Massachusetts to file a final resort casino application with state regulators. MGM Resorts International has submitted its casino license application to the Massachusetts state regulators. The application, which is over 7,000 pages long, was submitted in duplicate to the Massachusetts Gaming Commission, just one day ahead of the deadline. The company is proposing to build an $800 million resort in Springfield. The company has already won the favorable vote of Springfield residents in a referendum and in early December the company was issued a favorable suitability ruling after the commission’s investigative division carried out a background check. Furthermore, MGM is the only applicant for the state’s western region casino license. The commission will now review all the applications and hold public hearings before issuing a license. A decision isn’t expected until June 2014.